Take Your App To The Next Level! We offer several add-ons for your mobile app. Find out how you can enhance your app! Note: You must be a current client with an active service in order to purchase one of these add-ons. After you checkout, we will begin making the changes. The process normally takes about 3 business days. Add a new tab in your app specifically for Events! With this new section, users can view information about the event, add events to their Calendar, share them on Social Media, and open the address directly in Maps. You can also include a link to purchase tickets. Through your BV account, you can manage your list and add up to 200 upcoming events to your app. Would you like to sell music or access to other content in your app? In-App Purchases give you another way to generate money. You can sell music, photos, or any other content that you have in your app. When someone pays, the money goes directly to you! Will you be broadcasting live from an upcoming conference or event? Sell access to the stream so people can pay to hear it around the world. Note: Requires a Google Play Developer Account and Apple Developer Account. You can only sell digital goods (i.e. music, streams, photos, etc...). You cannot sell physical goods (i.e. t-shirts, CDs, etc...). Would you like to collect names, emails or any other data from your users? This feature will allow you to add a survey or form to gather more information or feedback from people who download your app. A link to your form will appear prominently at the top of the first tab. You have complete control over the form and you have direct access to the information that you collect. You can change the Survey/Form at any time. Note: Requires a SurveyMonkey account. Their Free plan allows for up to 10 questions per Form. Would you like users to be able to continue browsing your app while they listen to music? This upgrade will make your music player collapsible so users can still read your blogs, view your photos, and browser your other songs while they listen to music. You can expand the player from anywhere so you can easily access the full player. Do you have a lot of content? Add the Search Feature so users can easily find blogs, photos, songs, or videos in your app. It works like Google Search. As users type their search, the app will instantly find content that's already loaded in the app and it will display it in sections. Add a download or favorite button to your Music Player so people can save the music and listen even when they're not connected to a network or Wi-Fi. Works on Android and iPhone! Do you have mixtapes or albums in your app? 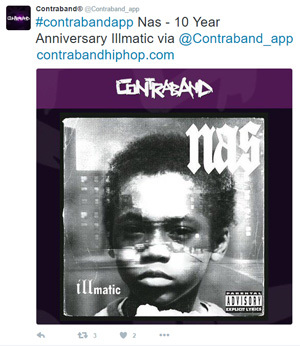 This feature will add a new page to your app that shows the entire tracklist for the album. This will allow users to go directly to a song instead of skipping through each one. It will also give them the option to share the entire mixtape or just one song on social media. Note: Only compatible with AudioMack. Would you like to give your blogs, music, and/or videos a different look? You can use the Grid Layout to have tiles of Albums or Videos. If you use this for your Blogs, this upgrade will allow you create up to 100 different categories and assign your stories to those categories through the Blogs Editor. The first story available in each category will appear as a large thumbnail on the Main Tab and users can click it to view more content from that category. You can add, update, and delete categories through your account at any time. If you're using an RSS Feed, each story can be automatically assigned through your keywords. If you need more than one blog in your app, but you don't need as many as the News Categories upgrade, this is the perfect enhancement for you. This update will allow you to assign your blogs to two different categories and each blog will have its own tab in your app. You can even provide custom names and icons for each tab. Are you on multiple radio stations and want to make sure your audience can hear you no matter where you're broadcasting? Are you a station owner that has several stations with different genres? This is great upgrade that will allow you to add up to 50 different radio stations in your app. You can add, update, and delete stations through your account at anytime. You've used headers for your Photos and Videos tab, but did you know you can also add a header to your Main tab? Would you like to include your logo with all images that are shared from your app? When someone shares a song, blog, photo, or video, we'll combine the image with a template that you provide so your images stand out when they're shared on social media and via email. We can also include a hashtag before all content that's shared which has been proven to increase the engagement (i.e. clicks, retweets, replies, etc...). Would you like a section for Sponsors or Links? Add a page that you can use for wherever you'd like! It's a freeform section so you can add links, text, or even sell the space to sponsors for your app. You control the name of the section and can change it whenever you want. Would you like to accept donations in your app? Make it easy for your supporters to donate money to your organization directly in your app. Donations on iPhone are handled via Apple Pay which makes it simple for users to donate. You must be a non-profit organization to accept donations. All transactions are processed through Stripe and require a Free Stripe account. As part of this Upgrade, we'll help you setup your Stripe account if you don't already have one. BV Mobile Apps is a mobile app development/hosting company. 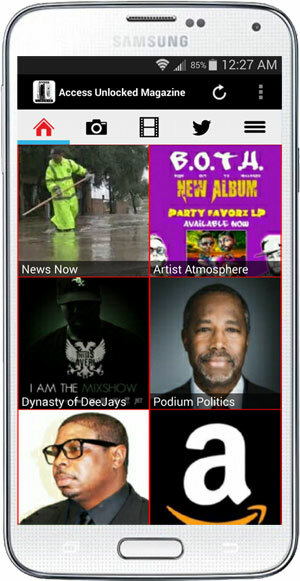 We specialize in creating apps for the entertainment industry. BV was founded by Gerald Olivari and Marshall Lyons. We're based in Atlanta.